In our society today, technology gives us the ability to have everything right at our fingertips. Years ago, you had to take a blank VHS tape and record a show or movie on television that you wanted to watch later. Then, as technology improved, it became the use of TiVo and DVRs. But now, it seems like everyone is using streaming to watch television shows and movies. In fact, according to an article by the Pew Research Center, about six in ten of those ages 18 through 29 (61%) explain that they primarily use streaming services from the Internet to watch television shows as compared to the 31% who use satellite or cable services and 5% who use a digital antenna. According to this survey by the Pew Research Center, other age groups were less likely to use streaming services as their main form of how they watch television shows. Economically, it even makes more sense to use streaming as a main media source instead of cable or satellite. An article on Clark.com showcases a comparison chart of how streaming services differ from traditional cable or satellite services. Even though streaming services offer less channels (50) compared to traditional cable/satellite (150), the cost is much cheaper for streaming ($40) as compared to traditional cable/satellite ($100). Even though with streaming you need an Internet connection, there are no equipment fees no cancellation fees. In addition, streaming is much more flexible in that you can watch it anywhere as compared to traditional cable/satellite. It’s also interesting to look at how many people have gotten rid of cable in recent times. Time.com reports that in 2017 alone, almost 1.3 million people cancelled their cable subscription. Amazon Prime gained almost 80 million accounts while Netflix has more than 50 million accounts. Based upon all of this information, how do you choose the best streaming service? Two of the most popular streaming services right now is Hulu and Netflix. According to Consumer Reports, Hulu features streaming to major networks like ABC, NBC, and Fox, and also has other perks like Hulu Live TV, which for $40 a month allows you to stream 50 channels as well as has access to Dream Works Animation films. Hulu has also teamed up with Spotify, which is a music streaming service, to offer customers a combination plan to better suite their needs. Hulu has also been adding local TV affiliates as well. In addition, Hulu offers an extra cost for 200 hours of DVR and unlimited users in the home on multiple devices. Even though Hulu seems like the best choice, another great choice to consider is Netflix. 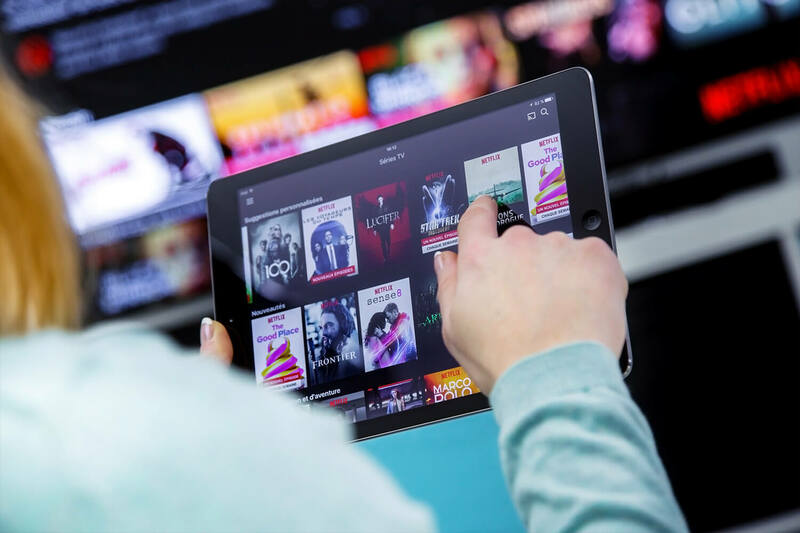 With original shows and a large library of movies and TV shows, it is one of the favorite streaming services available to customers. It also offers original movies and has a wide search library. According to a report by CBS News, “we see Netflix as very likely to move towards 180 million global subscribers by 2020 (over 60 million in the U.S.),” Within this report, it was also explained that more than 2,000 U.S. consumers also found that about half spent more time watching Netflix than regular television. The report explains the average subscriber watches Netflix 1.9 hours a day. CBS News also reported that the subscription rate of Netflix is predicted to spread worldwide, especially to China in the future. Which one is better—Hulu or Netflix? It depends on what your interests are and what you choose to watch. If you want great access to live TV and your local networks, where you can still record shows that you would like to watch, as similar to live TV, the better choice is Hulu. But if you want an expansive library of old shows and original shows, as well as movies, the obvious choice is Netflix. The streaming services industry continues to be competitive with each other as well as the traditional cable and satellite programs. As the 21st century progresses, these streaming services may likely wipe out cable companies and dominate the world of how people access mass media.